Fangirls & Foundations: Fresh Laces at Harvey Nichols Event in Manchester. Fresh Laces at Harvey Nichols Event in Manchester. Fresh Laces are heading to Manchester to hold one of their marvellous events and we're lucky enough to be official bloggers for the event! 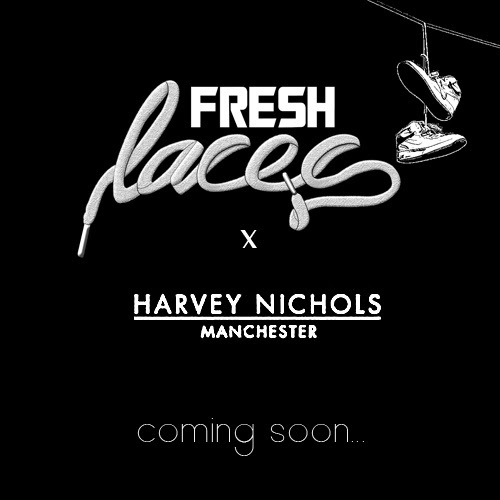 Fresh laces hold sneaker and lifestyle events in London and now they're coming to Manchester! Previous events have been a great success and we're really excited to be working with them. We'll be keeping you up to date all about the event and hopefully we'll see some of you there.